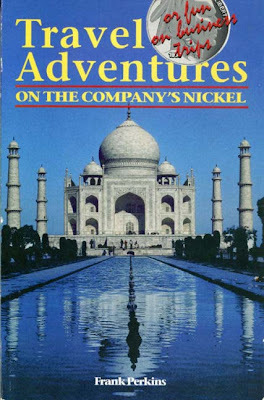 It describes his business travels around the world, from the markets of Morocco to the grounds of the Taj Mahal, and recounts his encounters with New Delhi shoeshine boys and the skilled pickpockets of Lima. Read the book and visit some offbeat hotels and restaurants and travel in weird and wonderful airplanes, taxis and rental cars. Learn the joys and adventures of extemporaneous travel subsidized by company-paid expenses. 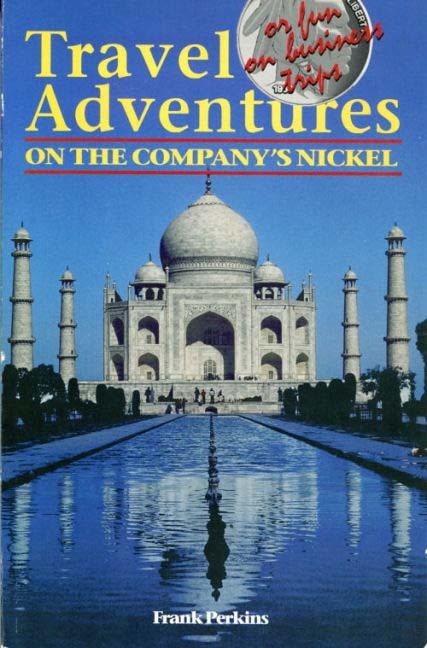 Whether you use it to plan your own trips or simply enjoy it from your easy chair, don't miss this assortment of traveler's tales — collected on the company's nickel. Frank Perkins was an electronic engineer for over 30 years. Some of his projects required testing in far-flung areas of the world. He has traveled to over 35 countries on business and pleasure. Now retired, his projects currently include photography, writing and publishing, fly-fishing, and volunteer expeditions around the world. He was was born and grew up in Atlanta, Georgia, and graduated from Georgia Tech with a degree in Mechanical Engineering. Serving his ROTC time in the Army, he was introduced to the wonders of electronics and never looked back. After the army, he worked briefly outside Washington, DC, but soon moved to Florida and, again, never looked back. He has traveled extensively as a volunteer on scientific field research expeditions to many parts of the world. An enthusiastic fly fisherman, he has fished in several exotic spots around the globe for a variety of fresh- and saltwater species. To view the book go to http://www.smashwords.com/books/search?query=Frank+Perkins. Or you can go to the home page at http://Smashwords.com/ and enter "Frank Perkins" in the search box on this page. You can download samples for your Kindle or other E-book reader, or in PDF or text forms to read on your computer, or you can purchase the entire book.